David Sumka has been revolutionizing emerging and mature technology companies for more than 20 years. He has built customer focused “organizational backbones” that have supported companies through periods of accelerated growth, international expansion and three IPOs. David was a pivotal player in the initial public offerings of disruptive innovators IntraLinks, Arbinet and World Telecom. IntraLinks Inc., NY – A SaaS company providing secure business collaboration service in the Cloud, IPO raised $143M (August 2010); Market Cap Value $700M. Arbinet Inc., NY – The global marketplace exchange for voice traffic providing trading, routing and settlement services, IPO raised $114M (December 2004); Market Cap Value $650M. World Telecom plc., London – A premium and value-added telecommunications provider, IPO raised $14M (March 1997); Market Cap Value $62M. A creative innovator and a proven “game changer,” David possesses the hands-on business acumen that understands the relationship connecting strategy, service and the customer experience. It is the combination of these attributes that has allowed David to repeatedly turn operations from cost centers into strategic assets and leverage data to create new revenue streams. 1) TURNS OPERATIONS INTO ASSETS: David takes on and resolves the unglamorous issues that face businesses and bottleneck growth. Detailed and methodical in his approach investigating issues and uncovering their root cause, he challenges the “way things have always been done.” David creates and manages highly efficient, ground breaking business infrastructures that enable companies to implement strategy and achieve goals through positive customer/user experience. 2) MONETIZES DATA: David uses his business experience and deep understanding of the information and systems available to identify and exploit the company’s unique data to create new revenue streams, differentiate existing products and promote and position the company as the “gold standard” of their industry. Most recently David was Senior Vice President, Operations at Intralinks. Prior to this role, he held executive positions at ESPN, Arbinet, Incom, MCI and World Telecom. David has strong experience across technology industries that include SaaS, FinTech, Digital Media, Mobile, Payments, Internet and Telecom. Approaching all ventures with a global mindset, he has built and managed departments and teams in the US, EMEA, England, Israel, Brazil and India. 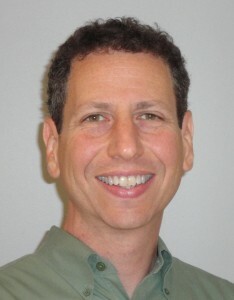 David holds a Master of Science in International Business from a joint Boston University and Ben-Gurion University of the Negev (Israel) program and a Bachelor of Arts in Economics from the University of Maryland. David is recognized as a thought leader across technology industries. He is co-inventor of a patented payment and customer facing real-time credit monitoring settlement system. He has spoken at industry conferences throughout the US and Europe, authored blogs and white papers and has been published in numerous trade journals. He is currently a mentor at TechLaunch, New Jersey’s technology accelerator and is involved in service to his community as a committee member for the New York Says Thank You Foundation.